The easiest and cheapest way to fly to London in a premium seat is by using American Airlines AAdvantage miles on American Airlines or one of the other oneworld partners. Availability is reasonable although not always on direct flights even if you are flying in peak season. Avoid booking British Airways across the ocean though as they impose huge fuel surcharges. A major task is trying to get the best product for your miles. 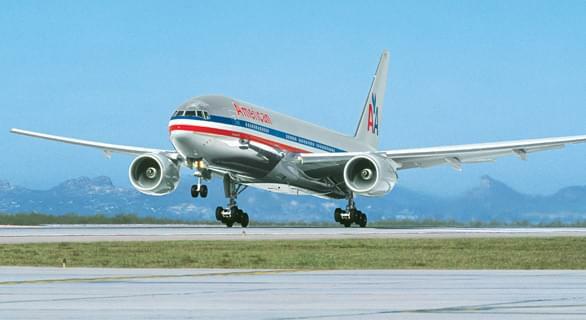 Out of New York, it would be the American Airlines newest 777 with full flat beds. But availability on this plane is generally scarce or non-existent. Most likely, you will be flying in an older angle-flat seat. American Airlines flies to London nonstop from New York, Miami, Raleigh/Durham, Chicago, Dallas/Fort Worth and Los Angeles. The key to getting the best AA product for your miles is to identify the type of the aircraft. Even an angle flat-seat in the new 777 is better than the old 767. If you want a fully flat seat, however, it will set you back 125,000 miles roundtrip vs. 100,000 miles in business. Can’t get the best seat on the bus? It will still be heaven compared to coach. Of course you don’t have to fly on American Airlines. You can use their miles on partners, such as Air Berlin and Iberia. Unfortunately, the American Airlines website doesn’t show all their partners (for example, they do show Air Berlin, but not Iberia), so you might have to call and ask. Even if London is not your destination, consider routing your trip through this hub anyway. If you can’t find an available award seat to your final destination, getting to most European cities though London is easy and affordable, be it by plane or train. And the journey from London no matter where you are going in Europe is not likely to be long. Next post: London on Delta and United.